Elevate your promotional status with the Bowie Softy pen! This stylish pen features a trendy rubberized finish barrel, allowing you to write in comfort in any position, and a smooth writing high capacity cartridge, available in Black ink or Blue ink. Make sure you garner maximum attention with an imprint of your logo, company name, or marketing message on the soft colored barrel. 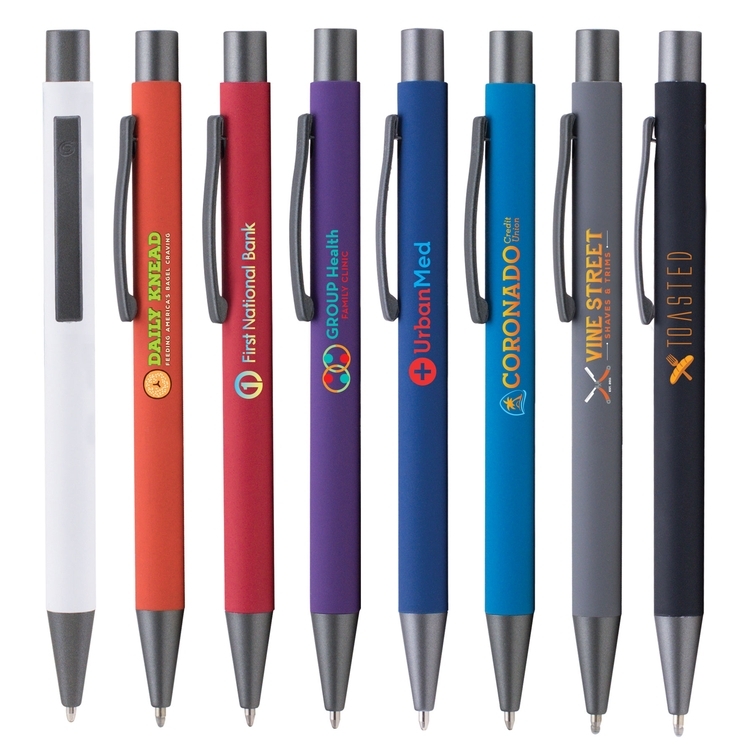 Customize this pen using ColorJet, our full-color, photo-quality direct imprint process that makes it easy to show your brand's true colors. Imprint Area: 2" x .275"
5.37"(L) x .39"(D) Circumference: 1.23"